Very helpful. Cheaper than most others. Niki was the best! She was very friendly and informative. And a great pleasure to work with! Had a great experience! Would totally recommend All Storage! I would readily recommend A/C storage to family and friends. Very satisfied with your facility and service. Great service, friendly. Clean and well light. Doc told me about All Storage and provided excellent service and found me an excellent unit for my needs. Probably the best run warehouse I have rented. Thank you. Very helpful, friendly staff. Extremely clean, easy access, and convenient. Recommend this facility! Always have great services!! Still have one unit with you. Great place!! Will recommend you guys to my family and friends! The customer service is the BEST!! I HIGHLY Recommend this facility. Very good customer service! Clean units! Great place to store valuables! Very nice. Fully appreciate everything! Very helpful staff. Niki was more than willing to take however much time I needed and showed me multiple different units so I could find that just right one, and never said one word about the fact that it was near a hundred degrees outside. The facilities are true to size unlike some that are slightly smaller than what they say they are. And the ceilings (in many) are way over 10 feet in height, which can make a huge difference, The billing is convenient as they offer multiple ways to pay including auto withdrawal. The grounds and unit areas are all neat, clean and clearly well maintained. its about 10 years old but looks brand new. Overall, I've been extremely pleased with this All Storage facility and would most definitely recommend them. You couldn't ask for much more from a storage place. Also due to their popularity and success, they are greatly expanding and will have many new units available soon (Winter of 2016/2017) Come and check 'em outl You'll be glad you did. Excellent storage experience! I have been a customer for 5 years! Great customer service! Reasonable pricing compared to the others in the area. Secure. Customer service was always top-par! They go out of their way to help you out when needed. Great facility. The only storage I would recommend. Staff was every bit of kind. From beginning to end. Great storage space and price. Very friendly and courteous staff. True professionals. Using All Storage was easy! They drove me around and showed me different units til I found the one I wanted. After that, I moved my stuff in. As simple and easy as it should be! Facility is well staffed and in excellent condition. The customer service was well above average. Nice place! We enjoyed it! Very nice place!! Will use again! Thanks to your professional and courteous help, "Doc". Kudos to him, he's an asset to All Storage. Awesome place! Had storage sine 2005 and never had any problems!! Always pleased to trust All Storage with my treasures. Thank you! Excellent facility. Super nice staff. Excellent facility - clean and safe. Excellent customer service, great facility. Convenient access, especially if storing a car. Very clean and professional to deal with. It was security that sold us on this place! Excellent location and staff, very friendly and attentive to customer needs and Priced Right! I wasn't to familiar with the area because my and I moved down to Fort Worth from Houston. Once I got in Fort Worth I needed a place to store all my belongings. I called around other places and they were expensive and the people were rude. I finally called this Granbury location and I spoke with a woman and man and they were very helpful. They explained to me that you get 3 months half off and it was all month to month. Once I found that information out, I was eager to store at this location. I then arrived here at this location and they were the most sweetest people a man could know. The facility was very nice and the units were spotless. My first time ever renting a unit and they walk me through everything I need to know. I really recommend these guys, A BIG Help ! Was desparate looking for a unit making ten calls.Finally,came across this storage facility.After research knew right away this would be the winner.How can they give you 50% off for three months no matter what size needed? My husband is partial to the coded key pads.We asked a number of questions which the staff patiently answered to our satisfaction. Thank you amazing staff. I have used many storage companies over the years since my husband was in the military. None have ever been as friendly and helpful as this facility. Brenda has gone above and beyond to help me answering all my questions,clearly explaining the lease, and making sure I had an easy move into the unit. I would recommend this company to anyone. The prices are far better then other companies on not only units but also supplies. Absolutely wonderful!! Best storage company ever! Good prices and very friendly staff. I will never use another company. Best storage ever. This is the 5th place I tried for my RV and I could never be happier! Been here 4 years no problems. Thank you All Storage!! The lady at that helped me is amazing and very helpful. I think she said her name was Nikita. If you need any help she will more than likely be able to accommodate. Teresa is one of the best. I rented a space from them for the past 2 years and they have always been so helpful and courteous. 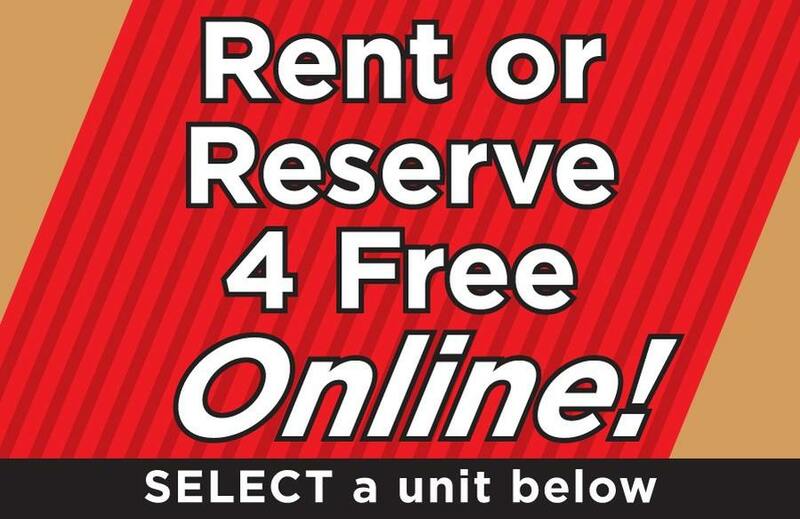 This is the best place to rent you wont be sorry. They are great. This place also has tons of security so you can be sure your belongings are safe. They are open Sundays too. All Storage is an awesome company and makes the entire storage process super efficient. Both times Ive needed a unit I was able to complete the whole rental process online (documents and all) and seamlessly access my unit. Their facilities are always super clean and their service is impeccable. Lastly, their prices are unbeatable and make it all so much more worth it. Nikki was phenomenal! I needed a unit and waited until the last minute! She walked me through the process seamlessly and was so friendly and helpful. She eased my nerves and feel so much better with a secure space for my belongings. All the staff have been cheerful, courteous and very helpful. Today I had to cancel one of my rentals there by phone. Niki answered the phone with a cheerful smile (could hear it over the phone). She took care of the matter rapidly. Very pleasant experience! I have received amazing customer service experience in my life however the ONE from The team of Ms Cindy has gone above and beyond to amaze me. Cindy showed me that she cares so does Joshua I felt heard and cared about. If I had thousands of business I would without any hesitation, YOU CARE and believe me Amphaty Matters to all of us. Incredible customer service. Niki and Josh were extremely helpful finding the right space that fit my needs and at a price that was competitive with any storage in town. If your looking for a place to store your stuff, stop by I strongly reccomend you come see these guys and gals. Thanks for making the process so easy. I've used many storage companies and this one is definitely the best! The service is great. Teresa and Nikki have always been super kind and helpful. Everything is clean and well maintained. 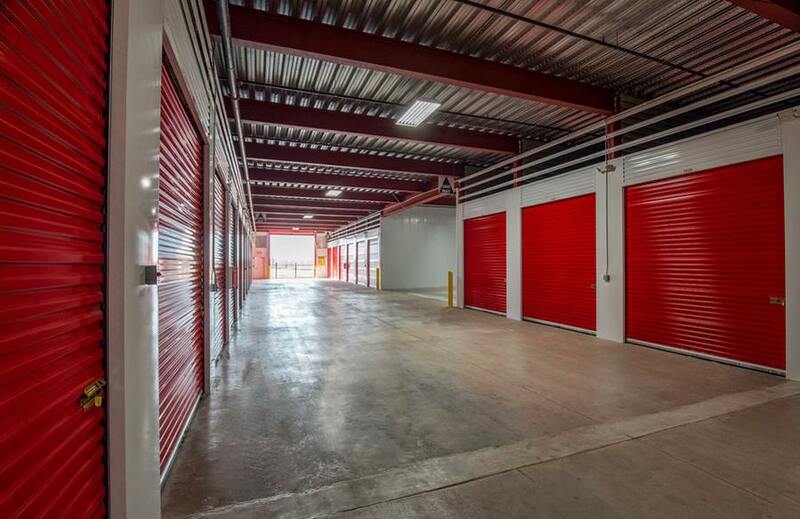 The indoor parking for the climate controlled units is really nice, and there are always carts available to move your belongings. Nikki has been very helpful here to help me with my storage needs. I went to several storage facilities, & this was the only location that could meet all my needs. And Nikki gave me a great discount on 2 units!! Niki and Stephanie took the time to listen carefully to what need I was trying to fill. They suggested the perfect solution. I am impressed with the cleanliness of the entire property and especially the inside hallways. I am just starting with All Storage and I look forward to the experience. Expressively friendly staff, ultra clean facility, and the information given about the place was very accurate and up front. Niki made the first visit a very enjoyable one for me, and made me feel very welcome and at home. This facility is fantastic. Our family has used this location for the last few years and they have always been the kindest people to work with. Even during the renovations, the staff was always curtious and informative about what we could expect. The prices are very reasonable and the staff is always willing to help with any issues. Fantastic customer service! Teresa was incredibly helpful both setting up the reservation as well as getting us our unit when we came back. She made everything super simple for us. Very happy with our choice to choose them! If you are looking for fast, friendly, courteous service with a clean, well monitored storage facility with great prices, please stop here. Looking to move my mother here to Tx with my husband and I. I previously had another storage facility hold a storage space for me. Happen to stop by All Storage, when I walk thru the door a young lady with a friendly smile greeted me and asked if she could help me. First impressions are everything, I explain what I was looking for, walked out with a storage unit. Thank you Niki for being personable, courteous and professional. Excellent service, very clean facility with high ceilings, easy access to the units. Would highly recommend checking this facility out. 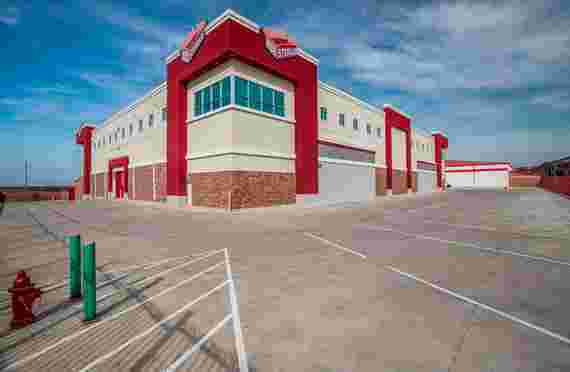 Customer reviews & the location of All Storage Granbury Road persuaded me to rent a small storage unit recently. When plans to move my apartment changed suddenly & I needed to store my household for a few weeks, I contacted All Storage again, Nikki and the staff were fantastic: they listened to what I needed and facilitated the details on-line with my movers so that I could focus on packing. This company is amazing - so focused on customer service and the value of ones personal possessions! Thank you, Nikki, for you commitment & the way in which the staff takes seriously your mission to treat every person with respect! This place is incredible! I had been searching all over the metroplex for a competitive, nice, state-of-the-art facility, and THIS IS IT!!! Niki and her staff were VERY efficient, professional, and helped me graciously with my situation. She helped me find an awesome unit that fits my needs perfectly! This storage facility rocks! I really appreciate their professional courtesy and promptness! Thanks Niki. Yall are great! Quick and friendly service both over the phone and in person. Great prices, nice promotional offers. Sonya was very helpful and took the time to explain everything we needed to know. Recommend! Cassandra at the front desk of All storage is super awesone and the storage units are very nice and newly updated! Great storage place. Looking for a place to store things? Look no further. Niki on the front desk is smart, thoughtful, patient, customer focused, professional, and friendly. The whole facility is the cleanest storage facility I've ever seen. 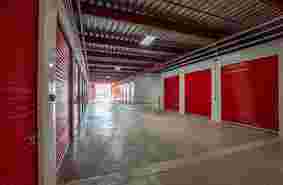 The entrance, hallways, and elevator area are well lit and easily accessible to the storage units, elevators and road. Security is very up to date with cameras and code accessed gates. Great place. Niki was so nice and friendly. She solved all my problems and kept a smile on her face the whole time.. Other employees can learn by her example. Niki at the Granbury location is the most fantastic. Always willing to help. Always friendly. Always professional. If you need help with your storage needs go see Niki at All Storage Granbury. The staff was friendly and helpful. They showed us around the property and answered all our questions. It was pleasant every time we interacted with them. The storage units were clean and well-lit. Security gate and cameras everywhere. We would definitely use them again. Great customer service!! I was very impressed. Sherri and Nicki were very helpful. I had to transfer over from McCart location, and they helped me do this with ease. Sherri also showed me my unit and helped set up my lock. I would highly recommend. The staff was friendly and patient. 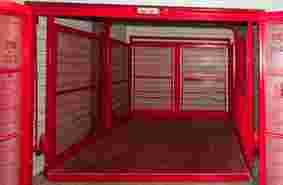 The storage units are clean and well maintained. Sherri was fantastic! It was one of those freezing cold days, and she was such a good sport to show us several unit locations & sizes! No pressure, but very knowledgeable. Also, this storage unit facility is well-equipped with moving dollies, its access hours are very flexible and is maintained well! Highly recommend. From the second i opened the door I knew this was the storage company I wanted to use, they greeted me with a warm welcome and smiles, very supported in my concerns. the tour was very informative, the facility was clean. Great customer service begins with a smile and ends with a THANK YOU, which i did receive, i will be spreading the word to my family and friends. Niki has done an OUTSTANDING job. She is ALWAYS very helpful is solving customer problems. I have witnessed her dealing with other customers. Great customer service. Superior place to use for storage. 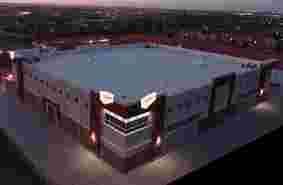 Are you looking for secure self-storage in Fort Worth, Texas? Stop by All Storage on Granbury today. We have what it takes to keep your property secure. With 30 surveillance cameras recording 24 hours a day and electronic gate access with coded keypads, you can rest assured that your property is safe and accessible only to you. With a wide variety of storage units and features, we're perfectly equipped to serve your storage needs. At All Storage on Granbury, our professional staff is dedicated to providing our customers with the best experience possible and the tools to meet their needs. Need help unloading your property? 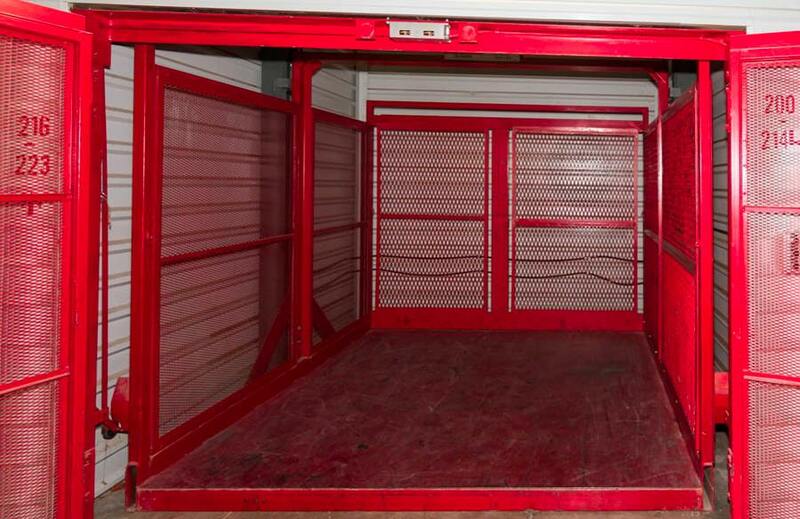 We offer ground level storage units, as well as access to dollies and carts, to make loading and unloading your storage unit simple. Did you underestimate the supplies you needed to pack away your belongings? We’ve got you covered with tape, boxes, and other shipping and moving supplies. Our storage units in Fort Worth, TX offer the option of climate control. Climate control, which regulates the temperature in a storage unit, is perfect for storing sensitive items, including electronics and wooden furniture that are susceptible to heat and humidity damage. The temperature varies throughout the year, with an average temperature of 95 degrees in July and 43 degrees in January. Climate controlled units will protect your belongings from fluctuations in the weather and temperature. If you need help deciding if this option is best for you, give our friendly staff a call to learn more. We are happy to serve the city of Fort Worth, TX, in north-central Texas. Fort Worth is a rapidly growing area with a strong history grounded in cowboys and the American West. To serve this community, All Storage has seven locations in Fort Worth and twelve more throughout the Dallas-Fort Worth metro, including Carrollton, Grand Prairie, Keller, Bedford, Watauga, and Hurst. Fort Worth is home to several colleges and universities. We welcome college students to take advantage of our storage options to house their textbooks, furniture, clothing, and more when they head home for the summer or off to internships. We are honored to provide short and long-term storage options to Fort Worth longtime residents, visitors, and new move-ins. With our seven locations and various self-storage solutions, we are equipped to meet any of your storage needs. Curious about what storage options are best for you? Give us a call today! Nothing is worse than having a storage unit full of cardboard boxes full of your valuable items and realizing that you didn't label the boxes. Now you have no idea where anything is and you're digging through each box to find whatever it is you're looking for. Avoid this entirely by labeling all your cardboard boxes. Creating a walkway down the center of your storage unit can be especially handy when you are trying to make your way throughout the unit. Need something in the back? Just head right down the middle of the unit in your own red carpet walkway. Make sure that when you are moving boxes from your truck into the storage unit that you move the heavier items in first. These heavier boxes filled with books or other sturdier, heavier items establish a solid base for you to place other lighter boxes without damaging your items. Sticking to only two types of packing boxes allows you to create a sturdy base for your packing unit when you inevitably start stacking boxes. Make sure that the larger boxes contain heavier items to avoid crushing other boxes. Mirrors, glasses, bowls, plates, all breakable or fragile items should be wrapped in either bubble wrap or packing paper. This will help to prevent your valuables from breaking in either the truck on the way to the storage unit, or while moving things around within the storage unit. When you store your refrigerator or freezer in your storage unit, make sure that you defrost the appliance before storing it in the unit to make sure that your freezer or fridge doesn't leak throughout the unit. Laying wooden pallets on the bottom of your unit helps to keep your items off the ground. This precautionary step will make sure that if any water gets into your unit, it can't get any of your items wet. When packing books, use multiple smaller boxes rather than fewer bigger boxes to reduce book damage and make the boxes easier to carry. Lay books flat as to not damage the spine of the hardcover books in the box. Instead of using plastic to wrap your items, which can cause damage to certain stored items, wrap your items in old sheets or towels. When you pack furniture like armoires, wardrobes, or dressers in your unit, fill the empty spaces of these furniture pieces with clothes or other boxes to save space.